These beta exams are a cost-effective way to achieve certifications. The last beta exam I took, was the VCP6-DCV beta. Because I already had the VCP6-DTM on my to-do list, the new VCP7-DTM beta exam was released just in the right moment. Beside of this, VMware can test the questions and is getting feedback to increase the quality of their exams. The beta exam preparation guide is quite comprehensive. Desktop and Mobility (DTM) is not only about VMWare Horizon View. VMware Horizon Mirage, App Volumes, User Environment Manager, Thin App, IDM/ Workspace are also part of the exam. The preparation guide outlines some documents, which can be used to preapre for the exam. Although I’m working with Horizon View on a regular base, I had some “blind spots”. I used the official documentation and my lab to prepare for the exam. The exam contained 175 questions, and I had 245 minutes to answer all the questions. I arrived early at the test center, because I had booked the first available slot for that day. I did not expect to be able to answer all the questions. View, Mirage, App Volumes, Workspace and IDM were the main topics, only a few questions about ThinApp and vROps for Horizon. Many questions were about administrative topics, where to click to achieve something, or where a specific option is located. There were also some questions about requirements, supported databases etc. As far as I can judge, these were all fair questions. If you have intensivly studied the documentation, you have do not have to fear this exam. Experience in administration is a great plus. I really do not know if I have passed it. It will take some time. The results will be available after the beta phase. If I don not passed, I have at least gained experience. This entry was posted in Certification, Job, Software, Virtualization and tagged certification, exam, horizon, vcp, vdi, view, vmware on November 4, 2016 by Patrick Terlisten. Later that day, I got an e-mail from Juniper with the same announcement. Juniper has launched its Design Certification Track inside the Juniper Networks Certification Program (JNCP) and the Juniper Networks Certified Design Associate (JNCDA) is the first available certification. 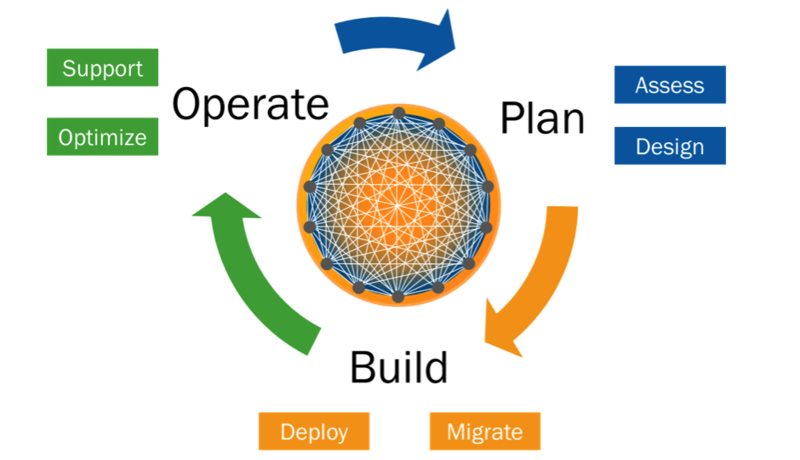 Juniper addresses the “Plan” phase of the network life cycle and many of the talented folks from Juniper contributed to this new certification track. This certification is not addressed directly to network architects, pre-sales consulting and the other people who are involved in the planning. It’s aimed more at network professionals and designers with beginner knowledge. Currently there is only an associate-level certification, but this will be the prerequisite certification for specialist-level certifications on the Design Track, that are currently in development. A more detailed objective list can be found on the Training & Certification website. You can schedule the exam (JN0-1100) at any Pearson VUE test center. You have 90 minutes to answer 65 multiple-choice questions. Unfortunately, Juniper doesn’t release any information about the needed passing score. The exam fee is 100 US-$. To prepare yourself for the exam, you can book a 3 day Juniper Networks Design Fundamentals (JNDF) course. This course covers all necessary topics. If you think you’re experienced enough, try the practice test. For the moment, there is no self-study material available. This entry was posted in Certification, Networking, Software and tagged certification, exam, juniper, networking on June 3, 2015 by Patrick Terlisten. Originally the VCP5-DCV Delta exam (VCP550D) was available until 30. November. I passed it on 22. November, about one week before the planned ending of availability. Yesterday, VMware announced the extended availability of the delta exam. You can find the announcement on the VMware Education and Certification Blog. The exam will be available through 10. March 2015. Previously requested authorizations are still valid. This delta exam is focused on the differences between VMware vSphere 5.1 an vSphere 5.5, and it is available to existing VCP5-DCVs who took the VCP510 exam and need to recertify on or before 15. March 2015. The exam consists of 65 questions. You have 75 minutes time to answer them. If you’re a non-native english or japanese speaker, you will granted 30 minutes extra time. 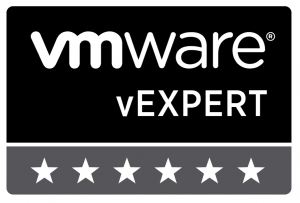 This entry was posted in Certification, Software, Virtualization and tagged certification, exam, vExpert, vmware on December 10, 2014 by Patrick Terlisten. The clock is ticking… Current VCP5-DCVs who need to recertify their VCP can do this until 30. November 2014 by passing the VCP5-DCV Delta exam (VCP550D). The exam can booked online via Pearson VUE and it’s delivered as an online exam. This means, that you don’t have to visit a Pearson VUE test center to take the exam. The costs for the exam are 90,- € plus taxes (in my case ~ 107 €). I recommend to take the chance and take the exam. 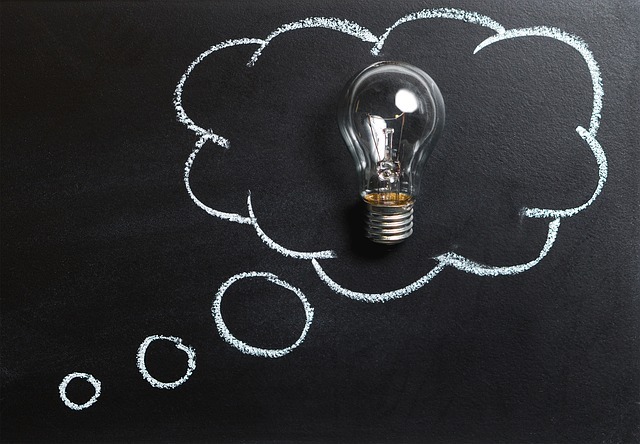 You have the choice: Answer 65 questions about vSphere 5.5, or pass a complete VCP5 (DCV, Cloud, EUC, NV) or VCAP exam. I would choose the lesser evil. ;) When you’re an experienced VCP, then you will pass the delta exam without much prep. Check the blueprint and you will see: No nasty stuff, IMHO quite simple stuff. I passed the exam in the first attempt between breakfast and lunch. ;) Go, go, go! 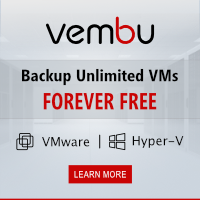 The VCP550D availability was extended until 10. March 2015. This entry was posted in Certification, Software, Virtualization and tagged certification, exam, vcp, vExpert, vmware on November 22, 2014 by Patrick Terlisten. The certification is compareable to Cisco CCNA (Routing & Switching, Security) or HP ATP (FlexNetworks or TippingPoint Security). The certification can be achieved by passing the JN0-102 exam, that can be booked at Pearson VUE and which is delivered as an proctored exam. The exam costs ~100 € (depending on taxes). A Fast Track program for different certifications is available, so also for the JNCIA-Junos. If you pass a pre-assessment exam, you can get a 50% discount exam voucher for Pearson VUE. I strongly recommend to take the pre-assessment exam and save 50% costs. The voucher can only be used one time. So if you fail the first attempted, you have to pay the full price for the second attempt. It’s strongly recommended to get a CertManager ID before you schedule the exam. Otherwise you can’t get your eCertificate. You can get a CertManager ID later and connect it with your Juniper accounts. You can get a CertManager ID here. Juniper Networks then performs industry standard statistical analyses on all exam results to ensure compliance with the Juniper Networks Candidate Agreement and JNCP exam security policies. It seems that Juniper tries to avoid that people pass the exam that have used braindumps or that have thrown a coin at each question. You get the final score report within three business days. I passed the exam on friday (based on the provisional score report) and today I had the exam listed as “passed” in my CertManager account. You don’t have to take a classroom or virtual training, you can prepare yourself for the exam. Juniper offers an excellent free software documentation, the Fast Track Self-study Guides and different Day One Guides (e.g. Day One: Exploring the Junos CLI). If you like CBT, try the course on Pluralsight: Juniper JNCIA-Junos – Introduction to Junos OS (thanks to Chris Frisch for developing the course!). Hands-on experience is strongly recommended! You can get cheap SRX 100 or 110 on eBay. Or try Juniper Firefly Perimeter, a virtual SRX. You can use it for 30 days without a license. Don’t make the mistake and buy Juniper 5GT or SSG series! They are running ScreenOS, not Junos! If you think you are well prepared, try the practice test that is offered by Juniper. If you pass the practice test schedule your exam at Pearson VUE. I finished the exam after round about 60 minutes and passed it. I felt the exam as challenging, compared to other entry-level exams. What’s next? I think I will start prepare for JNCIS-SEC and maybe JNCIS-ENT. The latter is more of a hobby because my employer does not sell Juniper EX. But in any case: It opens future options and learning new things is always a good thing. This entry was posted in Certification, Job, Networking and tagged certification, exam, job, juniper, junos, networking on October 26, 2014 by Patrick Terlisten. So far the VMware certification had no expiration date. If you had a VCP for ESX2, this was still valid up to today. I quickly checked my VMware Training account and noticed a tiny exclamation mark above my certifications. As you can see the expiration date is two years after the certification date. Interestingly my VMware Certified Associate (VCA) and VMware Technical Sales Professional (VTSP) certifications have no expiration date. Unfortunately the “Learn more” link is going nowhere, so currently I can only guess how to extend the validity. One ways is, to get certified as VMware Certified Advanced Professional (VCAP). Currently you get a VCP, if you are certified as VCAP. For example you get a VCP-Cloud, if you get certified as VCAP-CIA, or a VCP-DT if you get certified as VCAP-DTD. So in the future you will have to get a new VCP (e.g. for vSphere 6) or another, higher certification to extend the validity of you certifications. This is nothing special. Other vendors do the same, like Cisco oder HP. It seems that VMware moves with the time. VMware has published the recertification policy. Feel free to comment this post and write down your opinion. Also take a look at vninja.net. Christian Mohn also wrote an article. His article has a lot of good comments about this topic. Recertification candidates for the VCP5-DCV certification have the limited time opportunity (until 30. November 2014) to take VCP5-DCV delta exam. This exam can be taken online and can booked at Pearson VUE. For more information check the MyLearn portal. This entry was posted in Certification, Software, Virtualization and tagged certification, exam, vmware on March 8, 2014 by Patrick Terlisten.